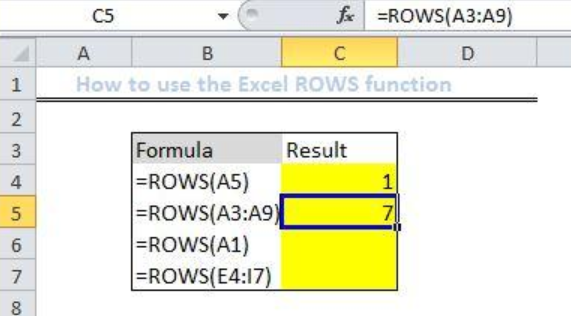 We can use the Excel ROWS function to count the number of rows in a specified array or reference. In easy steps, we will walk through the process of checking an array reference and count the number of rows in that reference. 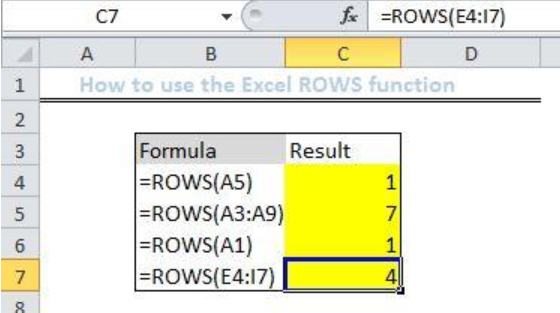 Convert formula to text to see only the formula by right clicking on the cell and selecting “format text”. We will click on Cell C4 and enter the array as displayed in Cell B4. We will follow the steps above to find the results for the remaining cells. 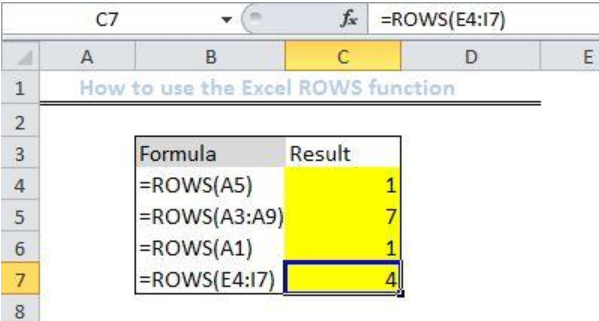 The Excel ROWS Function will count the number of rows in the given reference. 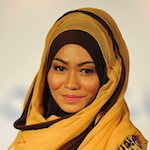 For instance, the Cell B5 contains ROWS(A3:A9), when we apply the ROWS function to this cell, it will return with seven because the range contains seven rows. In VB how do I move up rows in a range without deleting any rows? The rows have formulars in them. 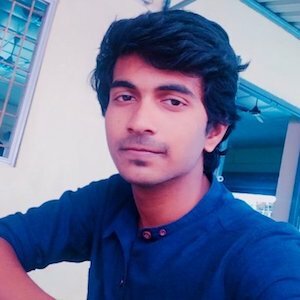 I am trying to plot data from 2 different rows on the same graph. The rows are not consecutive. 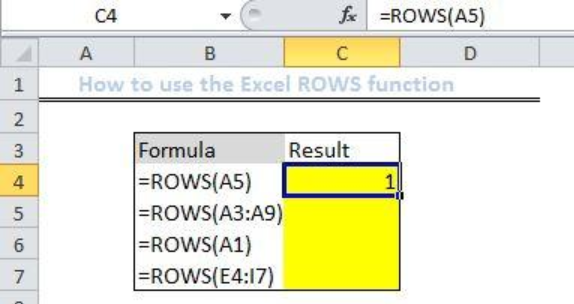 How do I highlight each of these rows while skipping the data in the rows between them?